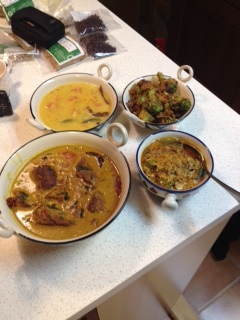 Very happy to announce that our first 2014 cooking class I gave last night was a success. It was full too. So, in short, it was SUCCESS-FULL. 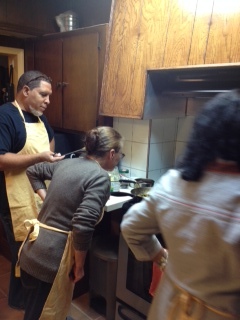 My students here in New York like my hands-on, interactive, Indian cooking classes. They tell me they have a great time. They also tell me they enjoy the fun, and the friendship, and the food. I am very happy that they like the classes so much. 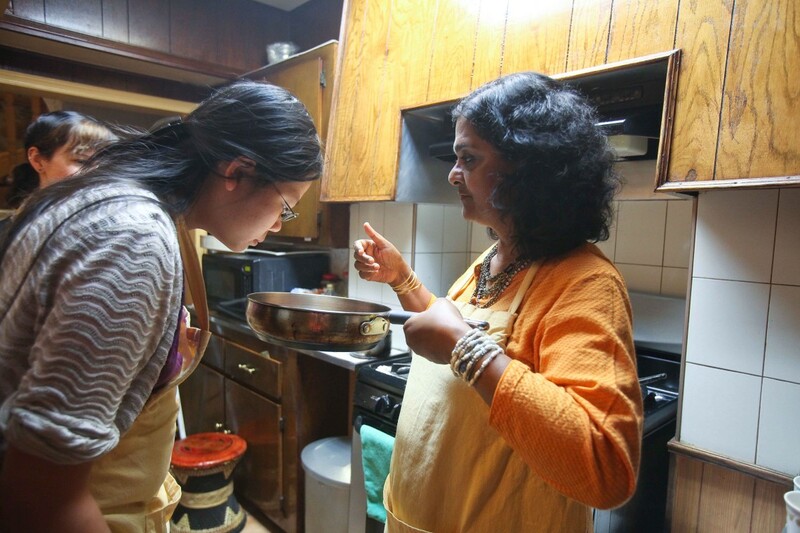 In 2010, when I started Mukti’s Kitchen, I didn’t realize how much fun this was going to be. I now have so much independence and my students, supporters and friends have helped me so much to make it a success. I’m announcing new classes on my website. I’ve also updated the payment options so that students can directly pay online while registering for classes. I’ve also decided to increase the class time from two and a half hours to three hours, listening to student feedback. Just before I left for an India trip, I had my Brooklyn kitchen remodeled. That made a big difference to find space for more students and easier movements. 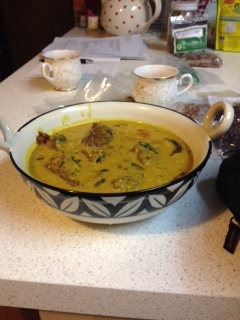 And from India, I brought new ideas, new récipes, and new pots and pans too. I’m sharing a couple of photos here. Join us. You’re going to love it.